Doha, the capital of Qatar, is a coastal city located on the east coast of the State of Qatar. It is famous for its many mosques, buildings and libraries. It has a number of tourist and culture attractions and special vital facilities, including Hamad International Airport, one of the most important and prestigious airports in the Middle East and the whole world, that has a free market that adds more enjoyment to travel. One of the most important museums in Doha is the Qatar National Museum, the second largest museum in Qatar. It has many geological displays, handicrafts and Islamic monuments. It also has a research center, a hall, two shops, two cafes, a restaurant, a garden full of original plants. Also, there is the Arab Museum of Modern Art, which is one of the biggest museums of modern art in the world. It offers a variety of events and exhibitions that celebrate art and culture. There is also the Museum of Islamic Art, with its magnificent architectural design, located on the edge of Doha harbor and includes collections from Europe and Asia dating back from the 7th century to the 19th century AC. The collections show the diversity in Islamic art and include 800 pieces of art documenting 1400 years of Islamic art history. Also, one of the important sights is the Imam Muhammad ibn Abdel Wahab Mosque, the largest mosque in the country with 28 domes. The Green Mosque is another one and many others too, and the Zubarah Castle dating back to the nineteenth century. Of the most famous parks in Doha is Aqua Park, the first and only water park in Qatar. Aspire Park is another one, which is the largest park in the whole country with splendid nature view of the lake, trees, ducks, geese and small cafes. Also, there are Islamic Museum Park, Natural Amphitheaters, Al-Wakra Public Park that has a big pond and a Children’s play area, Al-Rumaila Park, Al-Kharaitiyat Park, Dahl Al-Hamam Park, Barzan Olympic Park, Busmara Park, Al-Hula four Gardens that offer entertainment services for families and tourists. In addition, there are many other interesting places, sights and areas such as, Al-Dafna, which is one of the most important areas in the Qatari capital and has the most important blocks and compounds in the country, cave of Dahl al-Misfar, Doha’s Corniche that is a destination for the public to enjoy and drink Karak, tea and coffee, and many cultural establishments, as Musheireb Community Enrichment Center and Katara Cultural District. The cultural district of Katara is a unique cultural and tourism complex that acquaints visitors to the Qatari heritage. It is considered as a cultural and touristic destination in the country. It conjoins many cultural and recreational facilities, restaurants, festivals, exhibitions, seminars, concerts and performances. It also has a sea facade and a beautiful beach paved with stone. There are also various restaurants serving food from international cuisines Such as Lebanon, Egypt, India and many others. Its ancient streets are of its most important landmarks, as Shakespeare Street, which has a number of restaurants. There are some pigeon towers located in the district, which are among the most interesting touristic attractions. The district conjoins also an open air theatre and many distinctive buildings such as the Arab Stamps Museum, the Visual Arts Center, the Doha Film Foundation, the Council of Poets, and the Katara Grand Mosque with its unique and beautiful architecture. Concerning markets and shopping centers, Waqif market is considered one of the most traditional markets with its distinctive architectural design, which reflects a unique image of the popular markets in a modern style. In addition, there are Omani market, the gold market and many wonderful commercial complexes such as the Royal Plaza complex, the Landmark complex, the main mall complex, Al-Salam Plaza complex, Daiso shop for Japanese goods, Dar El-Salaam complex, Villagio Mall, Doha City Center .. and many more. The Pearl Island is one of the most important landmarks in the country, which is a group of artificial islands with a picturesque beach, residential compounds and shops. 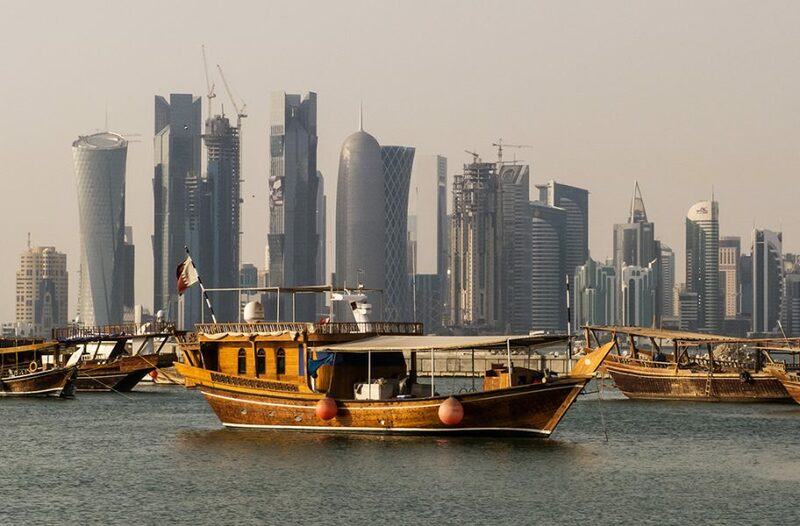 And the island is among the wonderful residential areas in the heart of the Qatari capital, Doha.